The 2016 chase for us was a challenging one. I felt like we worked really hard for our storms and many days looked lost before storms suddenly went crazy around dusk. We also drove further than we typically do. Even though we only touched 3 states: Texas, Oklahoma, and Kansas, we still drove 5,371 miles over the 11 day period, even with a down day where we barely piled up 10 miles! Out of the entire tour, only one day resulted in a moderate threat of severe weather, and that ended up being one of the least successful chase days of the lot. The tour got off to a really slow start as well. After three minimal chase days, we experienced two completely down days, something I haven't had happen on a tour in many year. We quickly made up for it though as we then saw tornadoes on 4 consecutive days in Kansas and Texas. The real highlight of the tour, and one of the top 2 or 3 chase days of my career, was May 24th when we encountered the Dodge City cyclic-supercell that dropped 14 tornadoes, often with 2 or 3 in progress simultaneously, over an 80 minute period. Amazing! 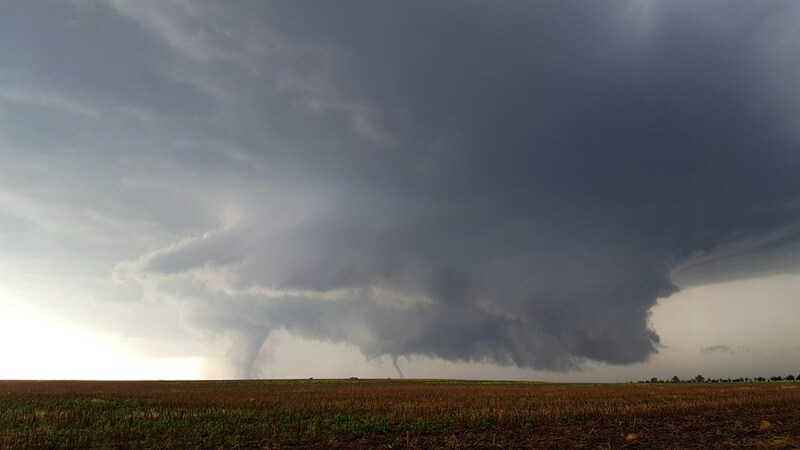 Ultimately, I saw 19 tornadoes this season, an all time record for me. May 21st, 2016: Beautifully structured supercell with dual mesocyclones near Leoti, KS. May 23rd, 2016: Nighttime tornadic supercell near Northfield, TX. May 24th, 2016: Cyclic tornadic supercell that produced 14 tornadoes near Dodge City, KS. May 26th, 2016: Long chase day in western KS and OK with some great structure.